Der Alte Fritz gets down to the business of defeating the Dervish. Well, 2017 is just about gone and we are heading into a new year tomorrow. It seems like a good time to summarize some of the highlights of the year for me and for this blog. I might do a longer version, with links to past posts, sometime in January 2018. 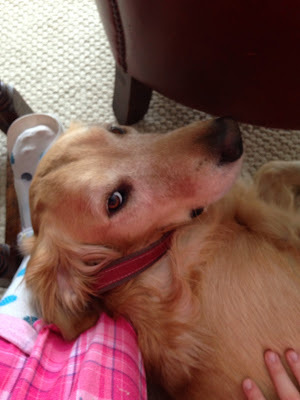 It is hard to believe, but I have been going at this blogging thing for ten years now. It continues to be as much fun now as it was when I made my first post in 2007. Now that I am retired, I have a lot more free time for wargaming. I played 8 solo games and 9 group games during the year. I carried the idea of blogging over to the world of forums on February 27, 2017 as I created the fifeanddrumminis.proboards.com , initially to promote my Fife & Drum AWI and Minden SYW figure ranges. It quickly morphed into something more widespread that covers the 18th Century, both from an historical information standpoint and from a wargamers' standpoint. In June 2017, I travelled to England to visit my casting company, Griffin Moulds Ltd and also made an appearance at the Ex-AMG gathering in Kenilworth. It was great to meet a number of people in person, whom I have only known through the blogosphere. My daughter Lelia later met me in London for her very first visit to Europe. What a time we had! My daughter and I resumed our famous Teddy Bear Wars in December 2017. It was our first game since 2011. The Battle of the Bears was won by Lelia (AKA Lady Emma Cuddleston-Smythe) so I am still winless in these tabletop tilts. Teddy Bear game reports are always get the highest number of page views of all of my blog posts. 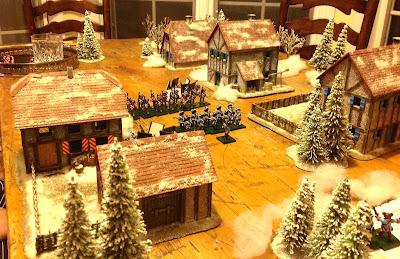 I started a solo AWI campaign set in South Carolina in the year 1780. The twelve turn campaign currently rests on Turn Ten, but we will complete the campaign early in 2018. Along the way, I have been working on my own set of campaign rules that I might publish in the future. I have been attending this convention nearly continuously since about 1986 and the same old faces keep returning, albeit with balding pates and silver grey hair. 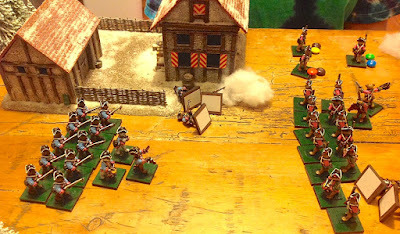 I ran two Cowpens games on Friday and then a larger set pierce AWI game on Saturday. I think that it was in August that I got the bee in my bonnet to finally build the SYW Russian army that I had been contemplating for ages. I decided to target things towards running a Zorndorf game at the 2018 SYW Association Convention in March 2018. I decided to try my hand at sculpting wargame figures, so starting with the basic dollies and torsos and head that Richard Ansell made, I sculpted a Russian Musketeer soldier and drummer, an NCO and an officer so that I could use them in my own collection of 28mm Russians. 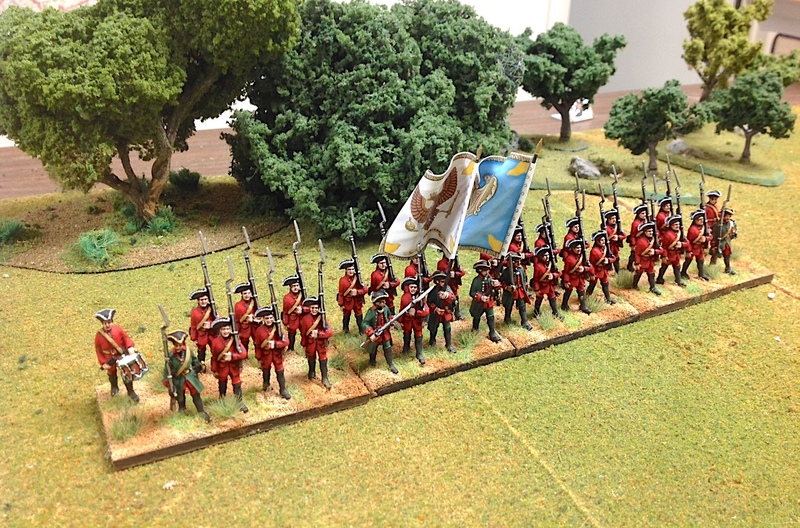 I also made some South Carolina Continentals and 11 AWI mounted militia figures. My sister, Janet Akers, died in November 2017 at the age of 69 from cancer. That was hard to take. 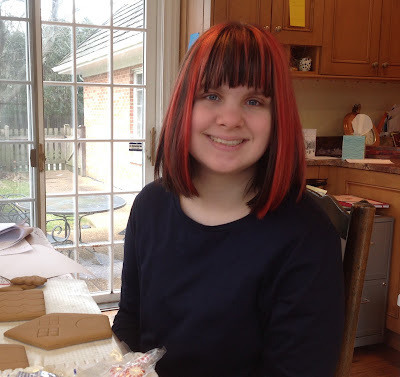 On a brighter note, my daughter Lelia went away to college prep school and is enjoying the adventures of living by oneself out of the nest of Mom and Dad. On one of my visits to see Lelia in Carbondale, IL, I visited nearby Fort Donelson ACW battlefield site. Finally, I declared war on clutter as I rented a 20-foot long dumpster and filled it up with the clutter of living in the same house for approximately ten years. Today I received the sad news that George Rust passed away on December 30, 2017. 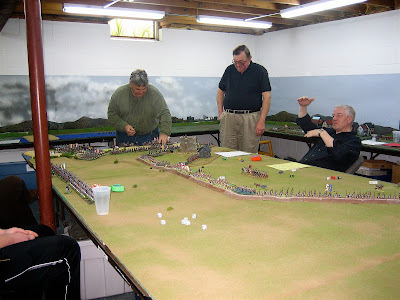 George was a member of the Seven Years War Association and may well have been one of its founding members. My recollection is that George had diabetes so his death may have been related to that, but I'm not sure. 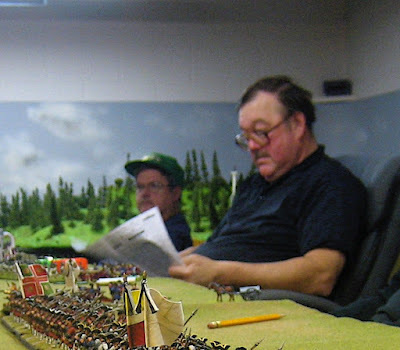 I played quite a few wargames with George as he attended most of the mega-games that I staged such as Leuthen and Rossbach. He was always a gentleman, never argued about rules or anything else, and he was a joy to game with. George (standing in the center) commanding some Prussians in one of our games in Brown Deer, WI. George was a kind and gentle soul and he will be missed at next year's convention in March 2018. I will post additional news as it becomes available. The first of the new Minden SYW Russian army figures are back from the caster and are ready to be added to the product range. The rank and file figures are wearing their red waistcoats (their green coats being left behind with the baggage train during the Summer and Fall months of the year). The officers, standard bearers and NCOs wear their green coats, as befits their rank. Front and rear view of the new Russian musketeers. 32-figure battalion with General Fermor in the background. Flags are from GMB Designs. I had some time to paint a battalion of the figures (32-figures) and I really like the way that they turned out. 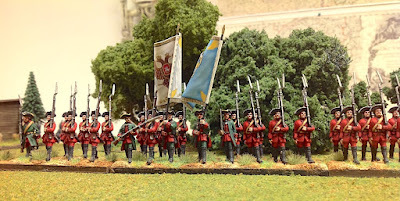 Add in a couple GMB Designs flags you get a fine looking battalion of infantry. SYW Russian baggage train. Click on all pictures to enlarge the view. I had a little bit of spare time over the Christmas holiday weekend, not enough to get much painted, but I did manage to finally base some of the wonderfully colorful ordinance wagons for my SYW Russian army. 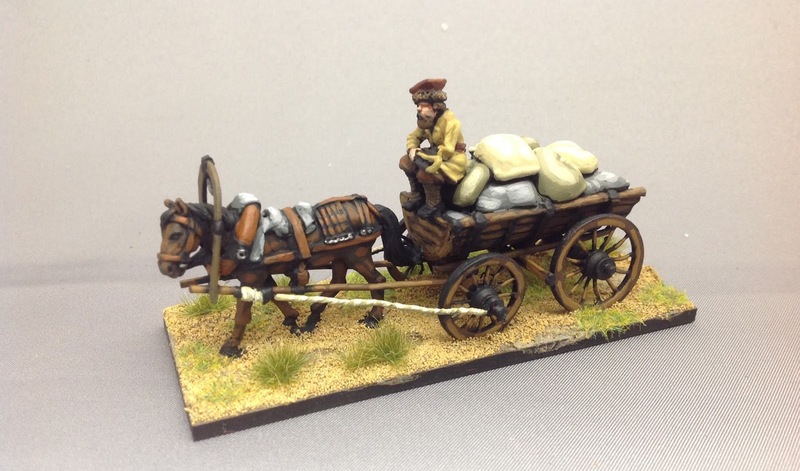 The iconic Russian Cossack wagon from the Perry Miniatures Napoleonic equipment range. This wagon is suitable for use across the entire black powder era of military history. Every year at the annual Seven Years War Association Convention in South Bend, Indiana Mr. Ed Phillips brings a huge amount of scratch built wagons and camp scenes to sell at the show. I was very fortunate to be able to purchase three sets of Russian wagons (2-wheel and 4-wheel) from Ed this past year. Once my SYW Russian Project started to pick up some steam, I thought it time to base the wagons with some Minden Miniatures horse teams. 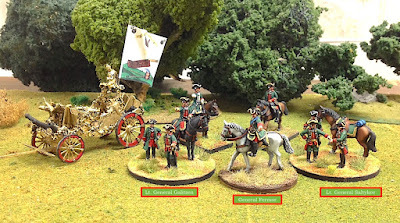 You can see how well Ed's handiwork matches well with the Minden Miniatures horses and figures. I used the Austrian teamster (rider) as a Russian teamster, simply painting the figure in the uniform of the Russian artillery corps. 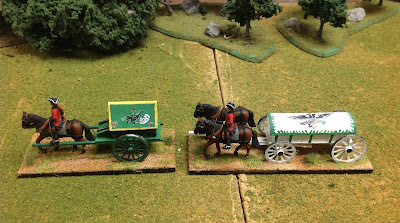 A pair of wagons in the green scheme of things. The red pair of wagons. The sky-blue pair of wagons. Each of my Russian infantry brigades will be served by a pair of matching colored wagons and I flatter myself to think that they greatly enhance the appearance of my tabletop armies. 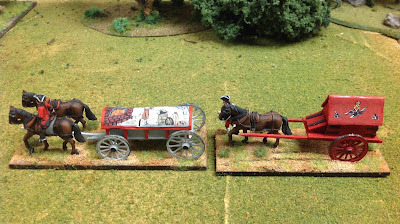 Minden Miniatures happens to make the four-wheel and two-wheel wagons in metal, but you will have to paint your own wagons. Hmm, that has a familiar ring to it. 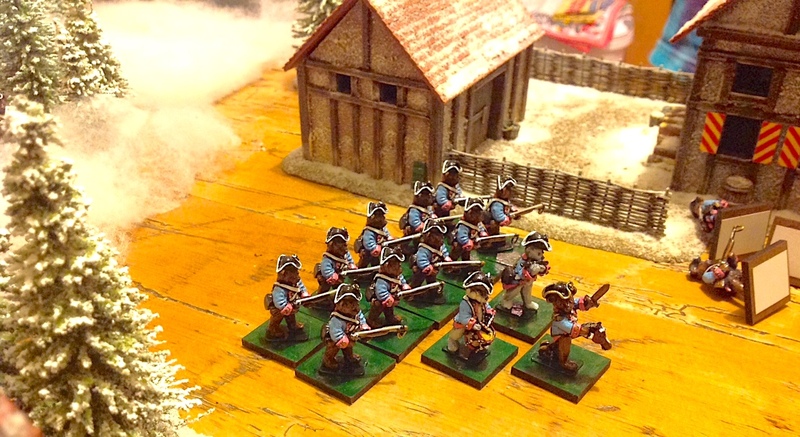 Now that I have the baggage train all lined up, the next item to check off of the to-do list is limbers and horse teams for every single cannon in my Russian army. I'll admit it, I'm a snob when it comes to having limbers for all of my cannon. I'm just not keen on the convention of turning the cannon model backwards to indicate that it is limbered. I would rather have limbers and horses because (1) they look better, (2) they take up space on the table that simulates all of the equipment that would be lined up behind the artillery battery, and (3) they are worth the time and effort to assemble and paint and give you a big payback on your effort. Merry Christmas everyone. It is Christmas Eve Day and we are getting a nice blanket of snow this morning that is quite beautiful to behold. I took my dog Tiberius on a long walk this morning, headed for the secluded large pond near our house where I can let him off leash to run around in the snow. 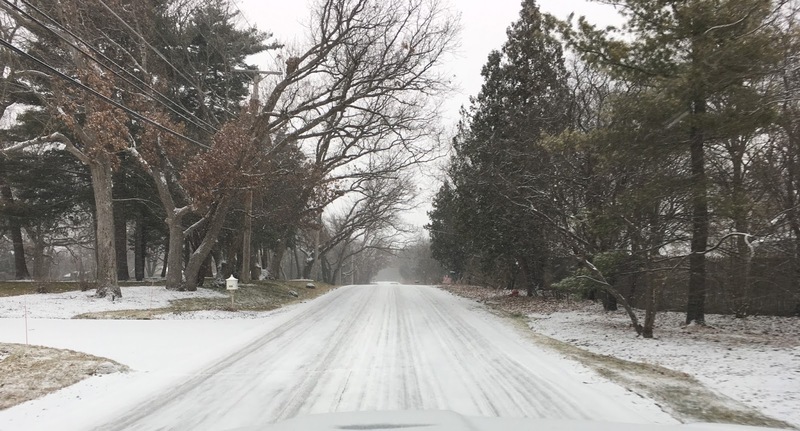 This is our first snow of the Christmas season and it is just enough snow for a White Chistmas (Bing Crosby song) without being too much of a hassle for traveling around. We are having 25 people at our house for Christmas Day supper, bonhomie and joy, and the sharing of presents. So I spent the morning at various grocery stores picking up the food that we had preordered for the party. I hit the store early at 8:30 A.M. so there was but a light crowd in the stores which made the shopping easy. 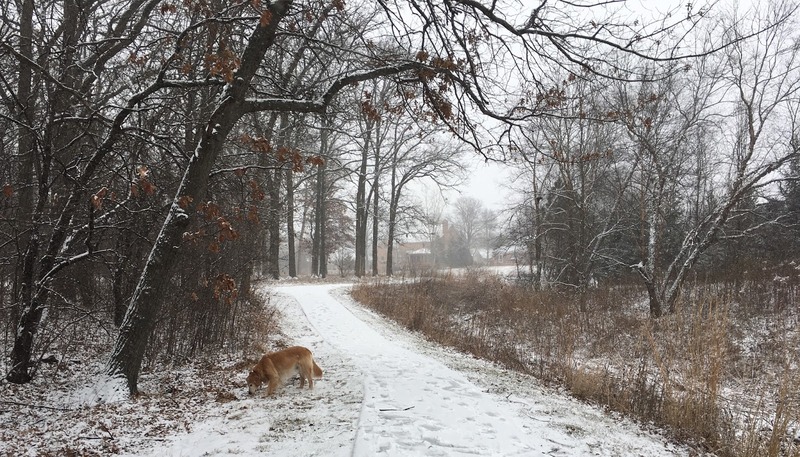 One needs to embrace the snow and see its beauty. 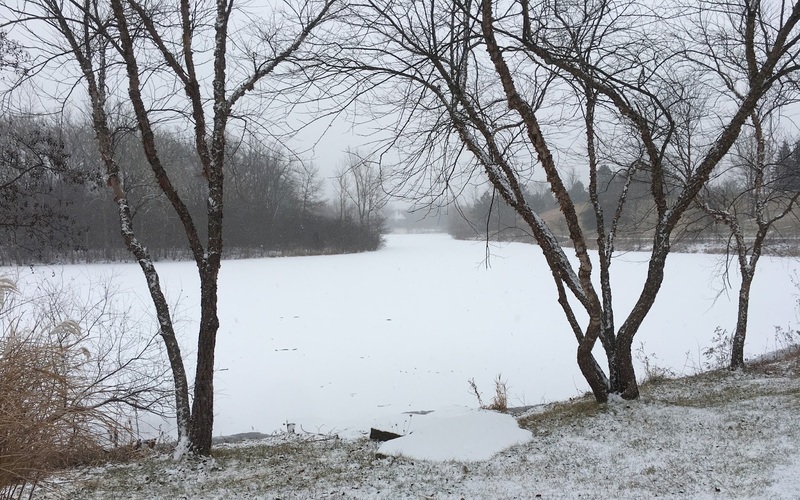 I have decided that I will embrace the snow and cold weather and look at its beauty rather than its inconvenience and chill. I took a lot of pictures with my iPhone during the walk and I thought that I would share a few of them with you. Mother Nature is a very talented painter. Tiberius is enjoying his unfettered romp throw the snow. with evidence of other travelers trodding the pathway. I want to thank all of my blog followers and visitors for taking a look at my compositions all year long. I also want to thank all of the visitors and members of the new Fife & Drum Miniatures forum that I established earlier in the year. 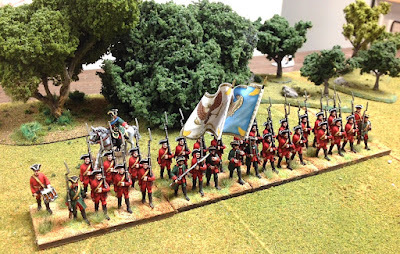 Initially, the forum was supposed to highlight Fife & Drum AWI figures and Minden SYW figures, but then it sort of morphed into a general 18th Century information and discussion group that presents topics in a very relaxed and informal way. Der Alte Fritz wishes everyone a Merry Christmas. May your stockings be full of presents and may you be surrounded by friends and family. Der Alte Fritz & Lady Emma Cuddleston-Smythe resume their Teddy Bear Wars. Yesterday Lady Emma Cuddleston-Smythe and Der Alte Fritz met on the field of the kitchen table in a battle of wits and dice. I leave it to you to decide who had the advantage in those categories. Lady Emma issued a challenge to Der Alte Fritz to resume the Great Teddy Bear Wars, which were last fought in 2011, so we both decided that it was time to renew the table top tilt. 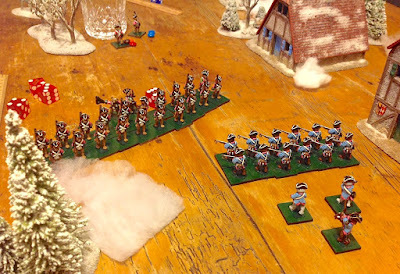 General Fritz went into the battle with an abominal record of zero wins and four losses, so he hoped that in the intervening years he might have improved his generalship, or at the least, have better luck with the dice. We created some simple rules off the top of my head to use in the game. Movement was 6-inches in line formation and 12-inches in column or skirmish order. Pop-gun range (this is the weapon that the bears were armed with) was 6-inches. To fire, take the number of bears firing in up to two ranks deep and roll one D6 for each figure. Hits are scored on a roll of a natural six (i.e. "box cars"). Any other number of pips on the D6 is a miss. It is important to note to any kiddies that the bears that are hit are not killed, but rather, they are going into hibernation when hit by a popgun cork. We also rolled an initiative dice (D6) to see who moves first. All firing is done simultaneously. The quiet little village of Honey Hollow happens to be the home of the First National Bank of M&Ms, also known as The Gingerbread Bank. Knowing that the Bank is an attractive target for certain bears who have a sweet tooth, General Blackford (Blackie) Oakes has been given the assignment of defending and protecting the village and the Bank from maurading Brown Bears. The Black Bears are defending the Bank and their objective is to stop the Brown Bears from either capturing the Gingerbread Bank or stealing a majority of the M&Ms candies that are laying on the ground all over the town. Since there are 40 M&Ms on the ground, the Brown Bears must not be allowed to capture any more than 20 of the M&M pieces. The Brown Bears, led by Lady Emma Cuddleston-Smythe, are hungry and need a little bit more of candy before they go into Winter hibernation. Scouts have informed Her Ladyship that the Gingerbread Bank has recently received a new stock of the precious (and highly edible) M&Ms. The Brown Bears must either capture the Gingerbread Bank or pick up a majority (21 pieces) of M&Ms that are scattered all around the village of Honey Hollow. Game Objectives: The Brown Bears are attacking the village because they have heard that the First National M&M Bank is chock full of M&M candies. Their objective is to capture as many M&Ms as they can and haul them away to safety. Victory points will be determined by the number of M&Ms that each side has captured. The Brown Bears entered the village of Honey Hollow from the east end of the table and marched towards the Gingerbread Bank at the end of the Main Street. A view of the tabletop along Main Street. 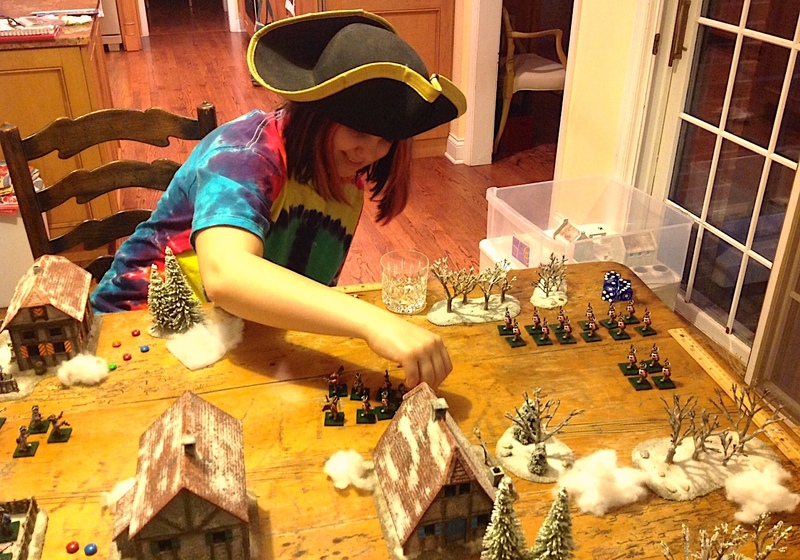 Lady Emma moves her Brown Bears on Turn One. The Black Bears divided their forces into two companies of 12 figures. 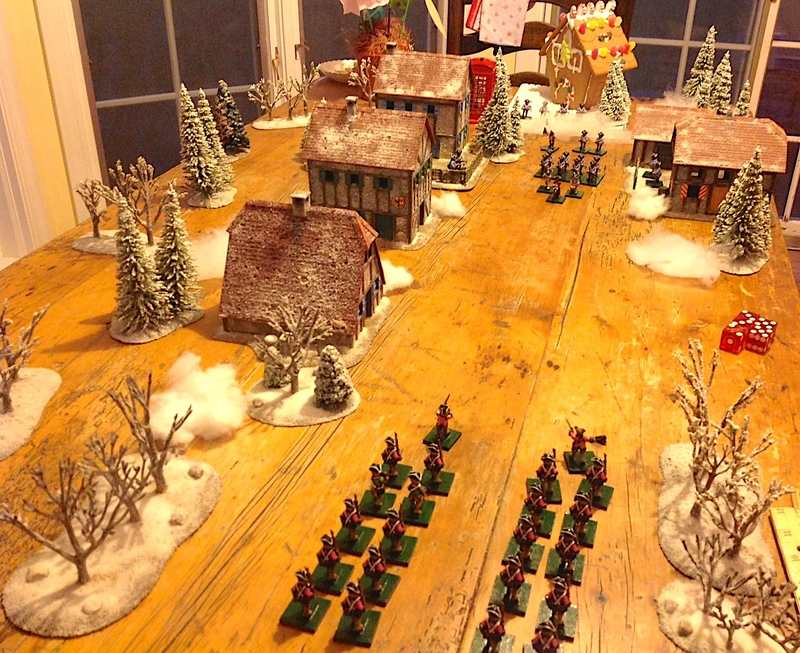 The first company deployed in the middle of Main Street and awaited the advance of the Brown Bears. The second company of Black Bears was distributed around town in penny-packets, with at least 6 bears defending the gates of the Gingerbread Bank. line formation so as to have the maximum number of popguns to "bear" on the Black Bears. 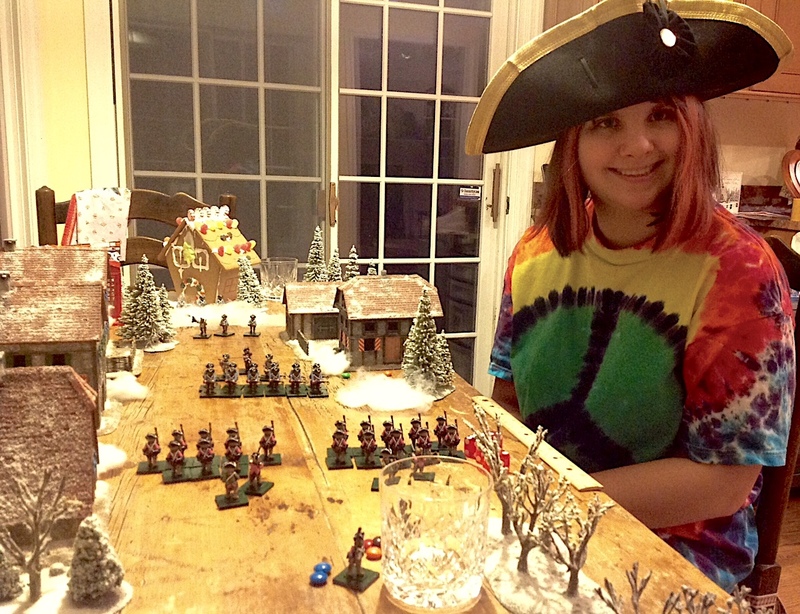 Lady Emma orders her Brown Bears to change formation, from column to line, and they quickly maneuver to outflank the Black Bears and have more popguns to fire than the Black Bears have. Blackie Oakes leads his advance guard of 15 Black Bears down Main Street to delay the advance of the Brown Bears. However, Lady Emma turns the tables on Oakes by maneuvering to outflank the Black Bears. The first firefight of the game ensues and 5 Black Bears are hit compared to only 2 Brown Bears. 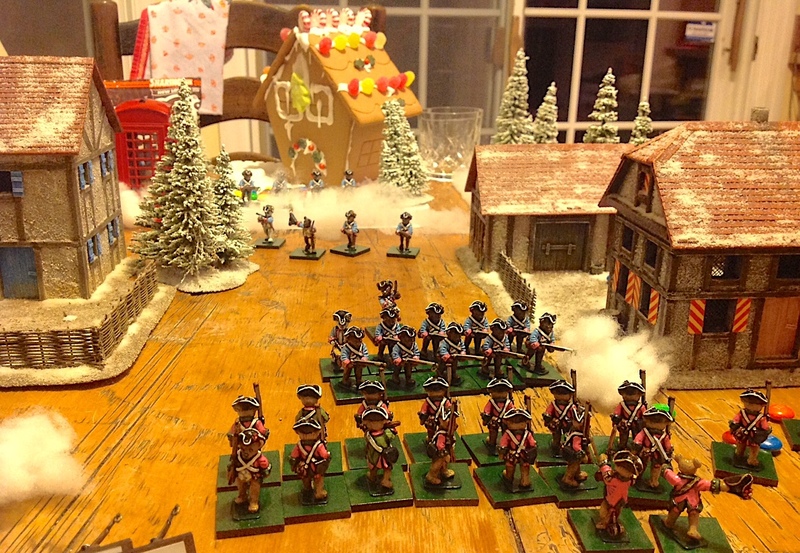 The Brown Bears continue their attack down Main Street with the Gingerbread Bank in sight. The first firefight ends with 5 Black Bears hit and only 2 Brown Bears hit. Meanwhile, small detachments of Brown Bears forage for M&Ms that are laying on the ground. When they reach an M&M they may carry two of them back to the supply wagon (the crystal glass). Once they reach the glass, it takes a full turn to put the M&Ms into the glass. Then they can return to action. "Daddy, we are creaming your army." exclaimed Lady Emma. The Black Bears fall back and call in their foragers in order to strengthen their firing line with more popguns. The Black Bears, in blue coats, are still outnumbered by the Brown Bears in pink coats. Lady Emma Cuddleston-Smythe is pleased with the results of the game so far. Black Bears Advance, but are still outnumbered. Another firefight, and three more Black Bears go down compared to two Brown Bears. Foragers can be seen in the upper righthand corner. 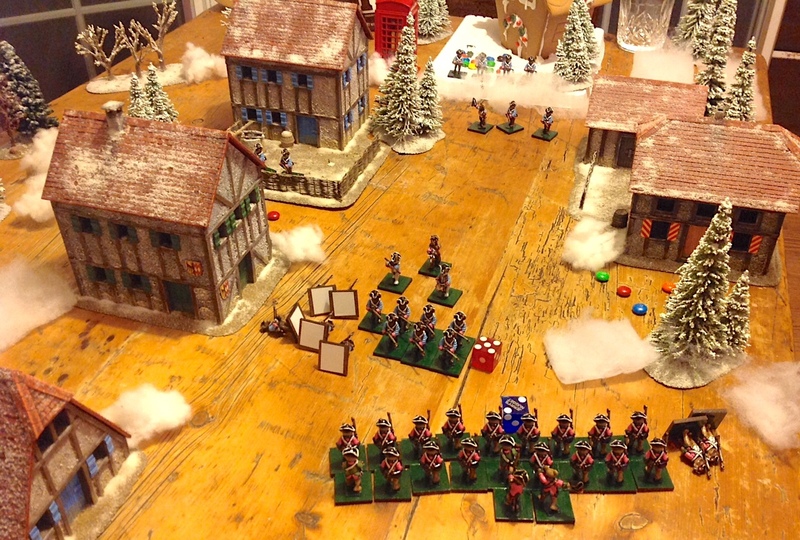 The final phase of the game finds General Blackie Oakes realizing that he is losing, so he calls in all of his remaining Black Bears and makes a forlorn hope charge up Main Street towards the Brown Bears. The Black Bears' Forlorn Hope. For the Black Bears, everything now rides on the roll of the dice. They have ten D6 to roll so they think that the odds are good that they will send some Brown Bears into hibernation. We need lots of Sixes! Der Alte Fritz gathers up all of his dice for one final throw. Everything depends on him rolling lots of boxcars. He, he, he. Gasp! Oh the horror and futility of DAF's dice roll. Only one hit. Oh God, we need some Sixes! Gahhh! Only one Six out of ten dice thrown. Sauve qui peu!!!! Lady Emma appreciates the futility of her Daddy's dice rolling. Der Alte Fritz sees that the jig is up and he offers to surrender. Lady Emma gives the victory signal, indicating that the game is over. And so once again, the Brown Bears won a victory over the hapless Brown Bear army. Some would say that Daddy let his little princess win the game, but I can assure you that no quarter was asked, nor any given by Lady Emma. Her superior tactic of outflanking the Black Bears and bringing more firepower to "bear", coupled with exceptionally good dice rolling, proved to be the difference. Der Alte Fritz's record of wins and losses is now 0-5. He will be banished from the Premier League. However, he has asked for a rematch after Christmas Day so stay tuned for another round of the Great Teddy Bear Wars. The Brown Bears versus the Black Bears. The objective of the game is to capture the most M&Ms candies. You asked for it, you want it, so you're going to get it - The Teddy Bear Wars are coming back! The epic battles between Lady Emma Cuddleston-Smythe and Der Alte Fritz will continue after a few year's hiatus. Methinks that Lady Cuddleston-Smythe recognizes a good mark when she sees one (that would be me, don't you know). Lady Emma Cuddleston-Smythe at the 2011 game. Der Alte Fritz has a losing record of 0-4 in wins/losses and has proven to not be the tactical strategist that Lady Emma is. Maybe I will prevail for once, but I doubt it. I have been working on the commander stands for the various command elements in my SYW Russian army for my Zorndorf convention game. General Willem Fermor was the commander of the Russian armies in the field during the 1758 campaign which culminated at the Battle of Zorndorf in August 1758. His three"division" commanders were Lt. Generals Galitzen, Saltykov and Braun (or sometimes "Browne"). So far I have painted everyone except Braun. The figures shown in the picture above are primarily Minden Miniatures with one or two Crann Tara Savoia officers. 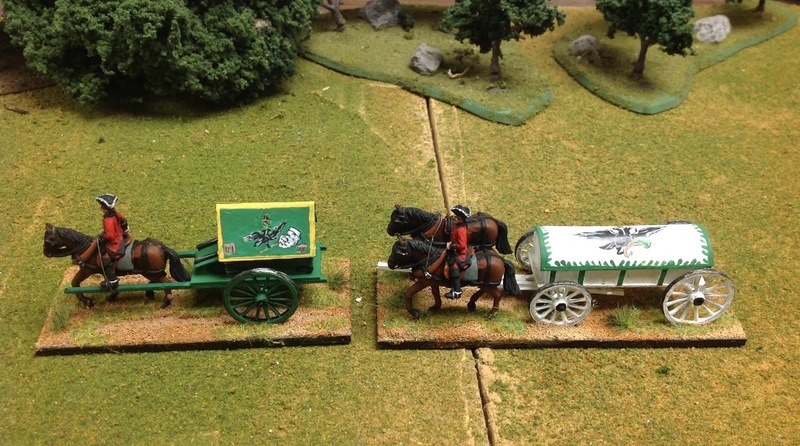 The ceremonial artillery parade wagon was scratch built by Ed Phillips. I am currently working on horse teams to go with all of the Russian ammunition wagons that Ed also painted for me. Watch for them in this space within the next couple of days. I have a new shipment of castings scheduled for delivery tomorrow from Griffin Moulds. The shipment includes the new SYW Russian musketeer in red waistcoat, the drummer in waistcoat and the NCO and Officer in uniform coats. I will be creating product codes and plan on having the new codes listed in the Fife & Drum on-line store by next week. The same shipment also includes the ten new South Carolina Continentals for the AWI and these should also be coded and listed in the web store next week. And finally, we have eleven new American mounted militia figures which work particularly well for the Southern Theatre of the American Revolutionary War. These will also be coded and posted in the web store by next week. He might be 65 years old, but he still loves to play with his toy soldiers. Well, today is my 65th birthday and that kind of takes me aback when I think about it. I guess that I am now officially a Senior Citizen. As my father always used to say about getting older is that "it sure beats the alternative." OMG! Old Fritz is really old, old Fritz. Sheesh. I don't feel any different today than I did yesterday, when I was a young pup all of 64, or for that matter, ages 60, 50, 40... 10. I still enjoy playtime and goofing off every now and then. The only difference is that now I know when it is time to act responsibly. Sigh. 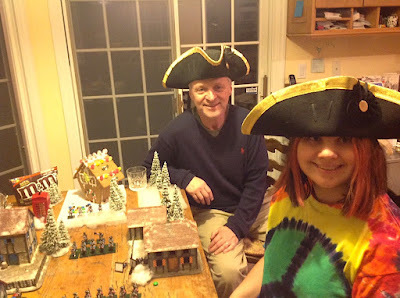 Lady Emma Cuddleston-Smythe and I spent Sunday afternoon doing daughter-dad activities, first and foremost of which was building a gingerbread house. One would imagine that a skilled modeler and craftsman (ahem, me?) would be able to decipher instructions and build a professional looking gingerbread house. Then again, maybe not. I was having trouble manipulating the icing cone, from which one draws a bead of icing onto the gingerbread parts with the icing acting sort of like glue. The application should be as easy as using a caulking gun (can't recall the last time that I actually used one), but I was having problems getting a nice straight bead of icing on the walls of the house. We have framed the house and put the walls up. So far, so good. Needless to say, I shant be competing in the National Bake Off Competition anytime soon. Once the walls and roof were assembled, I turned the job over to Lady Emma Cuddleston-Smythe forthe decorating part of the task. We had a little bit of difficulty with the windows and doors, but hey, look at that roof! and nobody is going to notice the gingerbread house. Mrs. Fritz decided that since it was my birthday on the morrow, that I had earned some painting time in the Man Cave. For that I was most appreciative and so I put my time to good use. I painted and based a Russian officer stand vignette and did the same with a Prussian munitions wagon. Lt. General Saltykov, one of the Russian commanders at the Battle of Zorndorf. Another view of the vignette - note how holes have been drilled through the snout of the horse so that wire reins could be leading to the hands of the horse holder manservant. The manservant is one of the Minden horse holders, the horse is from Crann Tara, and the two gentlemen perusing the instruction book for building a gingerbread house are from the Minden Duke of Brunswick and staff set. and the horse and rider are Minden Miniatures. Next on my Russian to do list, paint limber horses and riders to lead the Russian 2-wheel and 4-wheel wagons that Ed Phillips made for me.